Residential rents fell across the United States on an annual basis in September for the first time in more than six years, the latest real estate index shows. The median reached $1,440 a month, down 0.2% from September 2017, meaning that rental growth has slowed for seven months in a row and year on year for the first time since July 2012. The index from real estate firm Zillow also shows that rent growth peaked at 6.6% in July 2015 and overall in the 12 months to September 2018 rents fell in more than half of the nation’s 35 largest markets. The biggest declines in rent were in Portland with a fall of 2.7%, followed by a decline of 2.2% in Seattle. But rents increased by 3% year on year in Riverside, California. Home price growth also slowed in September, growing 7.6% year on year to a median of $220,100, down from the 7.8% recorded in August 2018. But prices are rising in six of the biggest housing markets with double digit rises annually. This growth is led by San Jose where the median home value increased by 20.9% but this is down from the annual growth of 25.4% recorded in June 2018. In contrast, Washington, D.C., homes saw the smallest year on year price growth at 3.7%. The index report points out that while the slowdown in home value appreciation could benefit first time buyers, it comes as mortgage rates have seen a sharp increase since the beginning of the year. The higher interest rates have eroded most of the benefits from slower home value growth as mortgage payments for the median valued home are growing more than twice as fast as home values. ‘The figures are yet another signal that the housing market is easing toward a more normal, sustainable pace after the frenzy of the past three years,’ said Zillow senior economist Aaron Terrazas. ‘With slowing rents and home value growth, searching for a new home should be somewhat less competitive than it was a year ago, giving renters and buyers a bit of breathing room. 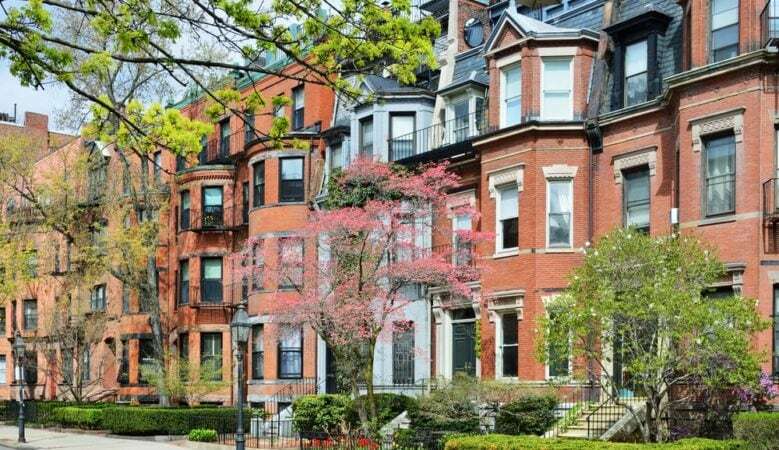 Rents remain high by historic standards, but September’s modest annual decline in rents should ease some of the pressure pushing higher income renters to buy,’ he explained. ‘Although home value appreciation is slowing, homes are more expensive than ever, making it difficult for first time buyers to save for a down payment to break into the market. Housing plays a central role in most people’s finances, but for people already in their homes with fixed mortgages, there’s minimal spill over,’ he pointed out. ‘For renters, slower rent growth is welcome news and will put more spending money in their already stretched pockets. The slowdown in new construction is more worrisome for the overall economy: Home building has been a net contributor to economic growth and employment, but rising costs mean that it could shift toward a drag in the future,’ he added. The index also reveals that the number of homes for sale fell by 1.9% in September, which was the 44th consecutive month of falling inventory. But it was the smallest annual decrease since early 2015, another sign of the housing market cooling from its recent frenetic pace. About two thirds of the nation’s largest markets are seeing inventory increase, including some recently hot markets like Portland, Seattle, and the San Francisco Bay Area.